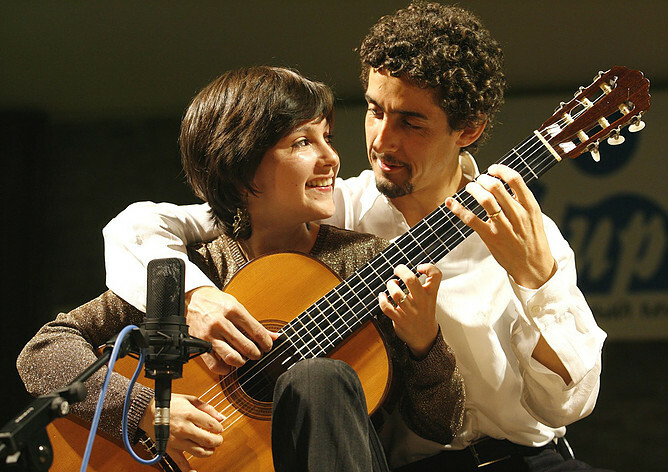 Duo Siqueira Lima will perform as part of the 24th Season of the Shandelee Music Festival's Sunset Concert Series. It’s an exciting year for the Shandelee Music Festival – their 24th season of bringing world class music to the Sullivan Catskills. The 2017 Sunset Concert Series begins on Saturday, August 5 with An Evening of Classical Jazz featuring the Fred Moyer Jazz Trio. The season continues Thursday, August 10 with An Evening of Chamber Music featuring the Verona Quartet, followed by An Evening of Guitar Duo on Saturday, August 12, with Duo Siqueira Lima. Another Evening of Chamber Music follows on Tuesday, August 15 with the Manhattan Chamber Players. The unique Rising Star Artist Concert takes place on Thursday, August 17 and features Ivan Vihor on solo piano. And ending the 2017 Sunset Concert Series is An Evening of Chamber Music with Borislav Strulev (cello) and Irina Nuzova (piano). All performances in the Sunset Concert Series begin at 8 p.m. As in past years, all concerts will be followed by a specialty dessert reception. The comfortable, climate-controlled, Shandelee Music Festival Sunset Concert Pavilion is located at 442 J. Young Road, Livingston Manor. The grounds and the Pavilion are completely accessible to all. Concert tickets are $35 for adults, $30.00 for Shandelee Music Festival members, and $10.00 for students 17 and under. Advanced concert reservations are required by calling 845-439-3277. Additionally, Sunset Concert Series’ subscriptions are available for a 10 percent discount. For more information, please visit www.shandelee.org. The Shandelee Music Festival encourages and promotes the careers of young, exceptional classical musicians through an annual series of summer concerts in New York’s Catskill Mountains. Concert locations include SMF’s own Sunset Concert Pavilion, Bethel Center for the Performing Arts Event Gallery, and public enrichment appearances in local schools and special care facilities. Founded in 1993, SMF operates as a private, not-for-profit corporation.